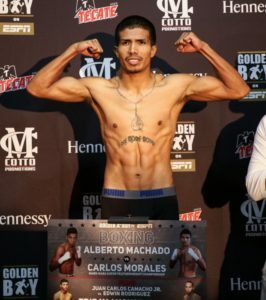 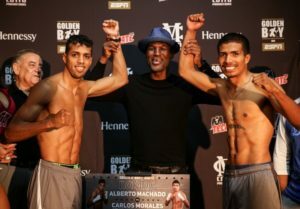 The weights are now in, as NABO Super Featherweight champion Alberto “El Explosivo” Machado (17-0, 15 KOs) and NABA Super Featherweight champion Carlos “The Solution” Morales (16-1-3, 6 KOs) stepped on the scale ahead of their 10-round super featherweight unification fight that will headline the Aug. 18 edition of Golden Boy Boxing on ESPN. 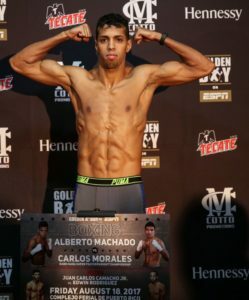 Catch the live coverage of Machado vs. Morales on ESPN Deportes starting at 10 p.m. EST/7 p.m. PST, and on ESPN2 beginning at 11 p.m. ET/ 8 p.m. PT. 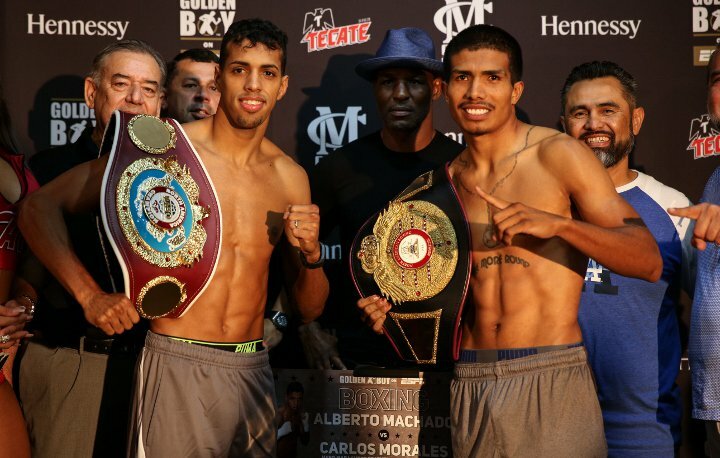 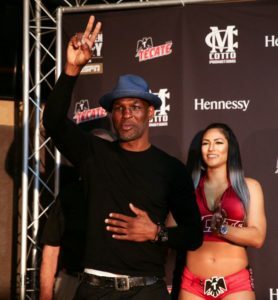 Both boxers weighed in at 130-pounds on the nose.